Basic piano service consists of TUNING, VOICING and REGULATION. 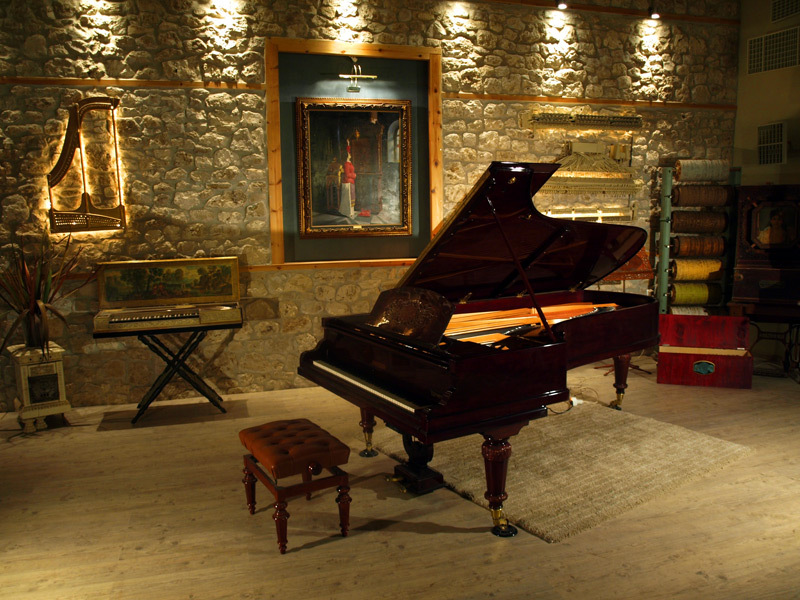 When we refer to piano tuning we mean perfect tuning and checking voicing and regulation. Neglected pianos will need two or three tunings, sometimes in consecutive days, and will also need full voicing and regulation that will take time and need special appointments. The good tuner is the experienced tuner. A good training is always vital, talent may also be useful but nothing beats practice. We believe that a novice tuner will take at least 1000 tunings before he/she starts to get going. Last but not least is the job “attitude” to perfection, in other words the tuner must question himself on every piano, tuning hammer movement or string beat to understand this extremely complex, unique and beautiful world of piano sound. We support aural tuning. 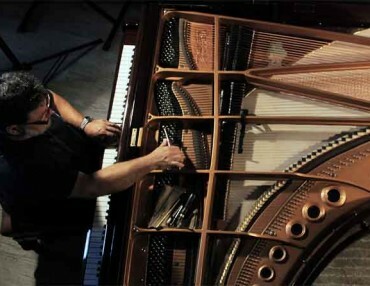 Digital tuners are computers that have been programmed by humans and cannot use judgments to treat each piano individually. Sound does not follow round numbers and simple universal mathematics as Pythagoras taught and as se believed up to 30 years ago. We now know that a musical note is “live” and full of thousands of minor sounds, some of them being very important to chords and harmonic relationships between notes which is the essence of tuning. Aural tuners do exactly that: they work on harmonic relations between notes and continuously judging the best average. There is no pure or clean sound, the musical tone is full of disharmonic “dirty” sounds and our job is to find our best mean. This is not as vague as it sounds and there is indeed an objective nice tuning which an experienced aural tuner can make it sound great. The digital machines tune pianos on a selection of preset human judgments following about the same reasoning on harmonic analysis etc., but they do not work on note to note comparison and on tempering all the disharmonic traps that are always hidden. Therefore the “machine” tuning sounds ok with no apparent error, but the aural tuning sounds great giving the sense of a more singing tone with slightly larger sustain and volume. 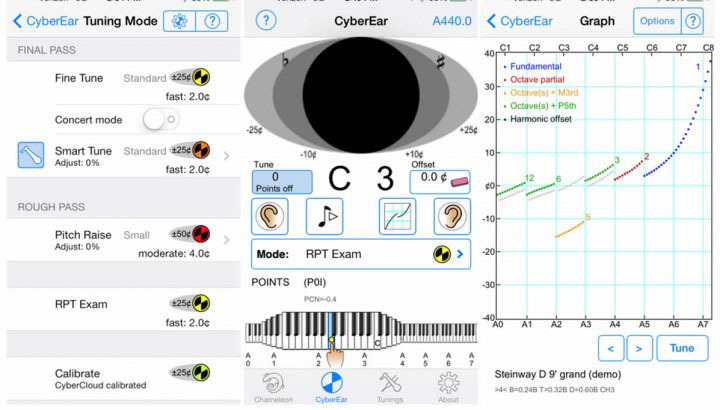 Finally we believe there is an extra bonus on aural tuning on that it is more stable. This is because the ear-hand relationship is more direct, transmitting more information on the final tuning hammer micro movements that will “set” the string. For more information please contact us, it is a very large and interesting subject and takes us lots of teaching hours to describe properly.